This week, Nick and Martin provide an update on what they've been doing and talk about things in their apps that they're embarrassed about. This week, Nick and Martin provide an update on what they've been doing and talk about plans for the year ahead. This week, Nick and Martin provide an update on what they've been doing and talk a bit about Christmas and side projects. This week, Nick and Martin provide an update on what they've been doing, discuss Nicks new cycling adventure and a change to a pricing plan. Nick and Martin are back with the second of two parts where we catch up on what's been happening since early 2017. Nick and Martin are back from hiatus with the first of two parts where we catch up on what's been happening since we last published an episode. 061: From 0 MRR to "Living the Dream"
This week, Martin catches up with Robin Warren from Corrello. We talk about getting from 0 MRR to an amount you can live on. This week, Nick and Martin provide an update on what they've been doing in the first month of 2017. This week, Nick and Martin provide an update on what they've been doing, talk about what's coming up for the New Year and Nicks latest venture. This week, Nick and Martin provide an update on what they've been doing and why they've missed a few weeks. This week, Nick and Martin provide an update on what they've been doing. This week, Nick and Martin provide an update on what they've been doing and talk about sending emails for lead generation. This week, Nick and Martin provide an update on what they've been doing and talk about lead generation. This week, Martin interviews Christoph Engelhardt of LiksSpy and the SaaS Email Marketing Handbook. This week, Nick and Martin provide an update on what they've been doing and Martin gives an update from Microconf Europe. 50: Ideas everywhere, all the time! This week, Nick and Martin provide an update on what they've been doing and talk about turning around a moan into something productive, comfort levels with customer facing software and finding ideas in everything we do. This week, Nick and Martin provide an update on what they've been doing and talk about exiting the EU and following up with leads. This week, Nick and Martin provide an update on what they've been doing and talk about exhibiting at an expo, following up and the Monday blues. This week, Nick and Martin provide an update on what they've been doing and talk about switching marketing tactics and exhibitions. This week, Nick and Martin provide an update on what they've been doing, allocating time for outreach and some tips on moving! This week, Nick and Martin provide an update on what they've been doing, give an update on April goals and set goals for May. This week, Nick and Martin provide an update on what they've been doing and talk about taking on interns, moving home and more. This week, Martin interviews Robin Warren, founder of Corrello, a SaaS app which provides dashboards for agile teams using Trello. This week, Nick and Martin provide an update on what they've been doing and talk about Martin going live with customer number 2, SSL issues and detailed articles for SEO. This week, Nick and Martin provide an update on what they've been doing and talk about being stressed and sleep deprived. 39: Country specific domain names (CcTLDs) for SEO? This week, Nick and Martin provide an update on what they've been doing and discuss whether to use country specific domain names for SEO. This week, Nick and Martin provide an update on what we've been doing. This week, Nick and Martin provide an update on what we've been doing and discuss why bootstrapped is best. 33: Test driven development: yes or no? This week, Nick and Martin provide an update on what we've been doing and discuss test driven development. This week, Nick and Martin provide an update on what we've been doing and discuss releasing to customer number 1, pesky competitors and internet marketers. This week, Nick talks to Andy Brice, the man behind products Perfect Table Plan and Hyper Plan as well as the must read Successful Software blog. 26: Should I partner up on my bootstrapped business? This week, Nick and Martin provide an update on what we've been doing and talk about things to consider when deciding on whether to partner with someone on your bootstrapped business. 21: Are we burnt out? This week Martin interviews Louize Clark, founder of ConnectTVT. This week, Nick and Martin provide a brief update on what we've been doing and talk about half marathons, staying focused and lots of general stuff. This week, Nick and Martin provide a brief update on what we've been doing and talk about Amy Hoys book, JFS. This week, Nick and Martin provide a brief update on what we've been doing and answer some listener questions. This week, Nick and Martin provide a brief update on our projects and discuss how to recover from a failed project. This week, Nick and Martin provide an update on our projects and our goals for the year. This week, Nick and Martin discuss evaluating a product idea on personal criteria and provide a brief update on our projects. This week, Nick and Martin provide a brief update on our projects and discuss lifestyle/business design. This week, Nick and Martin provide a brief update on what our projects and discuss ChiRunning amongst other topics. This week, Nick and Martin provide a brief update on what we're working on and discuss cold calls, cold emails along with progress on our annual goals. This week, Nick and Martin provide a brief update on what we're working on and discuss productivity using the Pomodoro Technique. This week, Nick and Martin provide a brief update on what we're working on and Nick has some tips on personal retreats. This week, Nick and Martin provide a brief update on what we're working on and discuss morning routines and personal retreats. In the break between Christmas and New Year, Nick and Martin provide a brief update on what we're working on and give a bit of an intro on who we are. The second episode of the Britstrapped podcast with Nick Swan and Martin Judd. An update on what we're working on, goals for 2015 and Nicks new product idea. 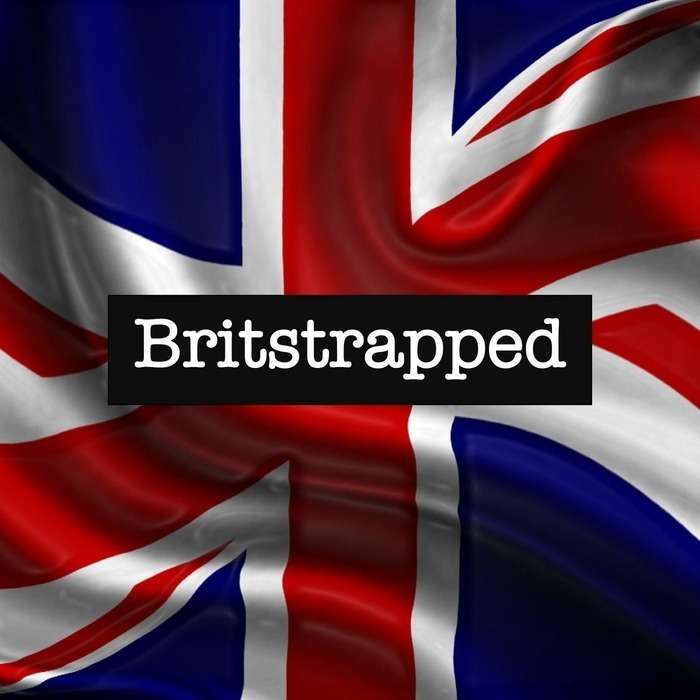 The first episode of the Britstrapped podcast with Nick Swan and Martin Judd. We're a couple of Brits bootstrapping businesses in the UK. In this first episode we talk about what we're working on, getting traction and definitely not VAT!